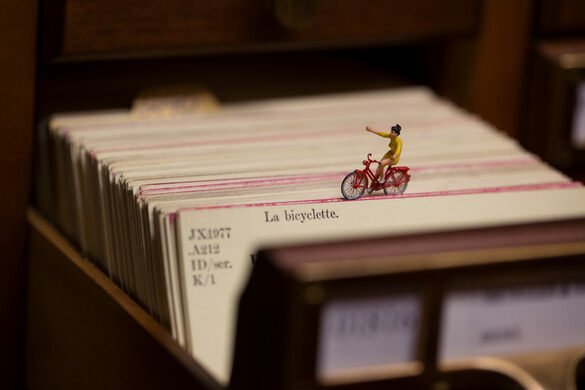 For decades, an elegant card catalog occupied a central spot in the Library of Congress Main Reading Room. Before computerization, it was as central to the research process as a search engine in the present day. The Flag Office elevator goes up and down, flying American flags in bulk "over the U.S. Capitol." When the Main Reading Room was closed for renovation in 1987 the Library returned the room to its original form with desks in a full circle. This meant moving the card catalog to desks adjacent to the Main Reading Room on the first floor of the Jefferson Building. 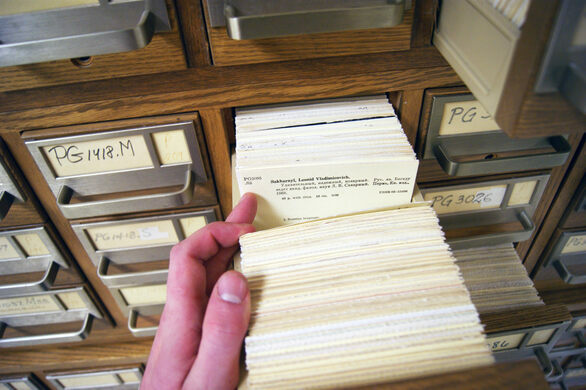 No cards have been added since 1980, but the catalog is still used by researchers and librarians. The Library of Congress card catalog system dates back to 1898. By 1901 the LC Card Division was producing vast quantities of them for sale to libraries across the country. 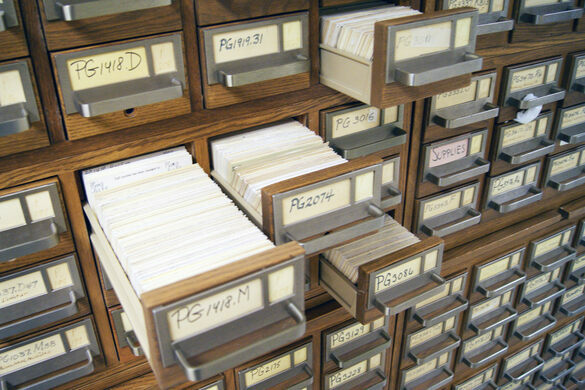 Every book in the collection had a standardized card listing, relevant metadata, and cross-referenced topics. There’s something undeniably interesting about perusing the rows of cards, taking in the subtle variations in typography and handwriting on each one. The cards are pleasantly tactile, and the paper has the faint smell of old book. It’s the same physical power that keep some book lovers from ever making the switch from hardcover to ebook, convenience be damned. The Main Reading Room is open to the public twice a year for an open house. Adult visitors often venture in to the catalog area and breathe in deeply as they remember the smell of the library they grew up with. Modernization proceeded under the direction of Henriette D. Avram, a former NSA programmer and pioneering female computer scientist. The project began in 1967, but was not complete until the mid-1980s because of the vastness of the Library of Congress collection. 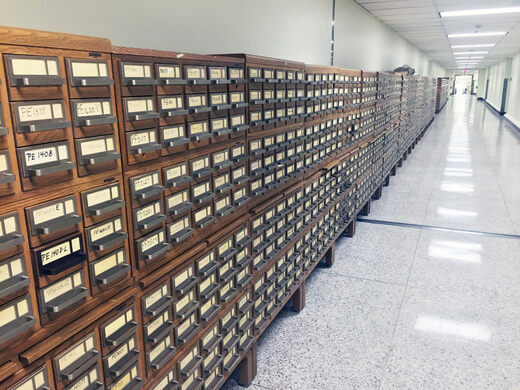 A different card catalog, used by primarily by catalogers, is stored in the basement of the Library of Congress Madison building, and is not open to the public. Twice a year, generally on Columbus Day and Presidents Day, the Library of Congress has an Open House in the Main Reading Room. (10 a.m.-3 p.m.). On this day the public is welcome to come to the reading room and get a view of the card catalog. 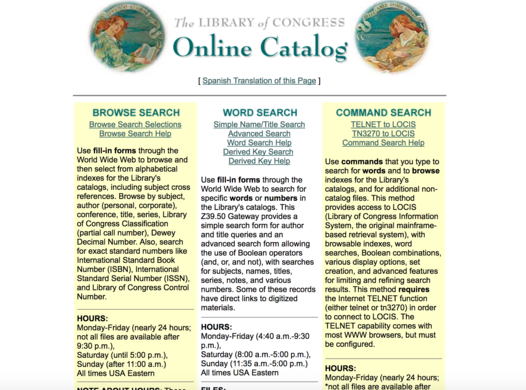 At other times of the year, the Library of Congress is open 6 days a week for researchers – those 16 and older who are curious about anything.